Aries and Virgos are both very honest people. However, Virgos harsh way of putting things might upset an Aries. On the other hand, the Aries impulsive nature may be despised by the Virgo because Aries impulsive nature causes them to do things instantly without thinking about the results! Opposite of that, Virgo likes to wait before making decisions and are extremely patient- irritating the impatient and “ready to go” Aries. Trouble will arise financially between an Aries and Virgo due to Virgo’s overly cautious mindset and Aries want to extravagantly spend. 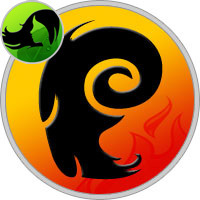 At times, Aries may be too impulsive and hasty for the practical Virgo. In order for a relationship between the two to succeed, Virgos should be wary of the way they criticize the nature of the Aries and Aries should respect the fact that Virgos need balance in their lives to function. Aries and Virgo is an unusual and potentially exciting partnership, with particularly strong complimentary skills and personalities, and some scandalous sexual potential. An Aries date with Virgo will be easy going and laid back. However, Virgo expects good manners and classy attire for the occasion. Virgos look for strong partners and will start right off trying to seduce Aries. This fits well since Aries has a strong libido, doesn’t hide feelings and doesn’t have patience for details. A love match will happen quickly since these two zodiac signs have a natural sexual attraction toward each other. A long-term relationship will go smoothly if Aries and Virgo focus on the good qualities of each other and not on their differences. It is also possible for this couple to find comfort in a love relationship because they honestly want to help each other. Astrologically, Aries and Virgo are a good sexual combination. Love making is bliss because they see love as a renewal of their desires. Aries embodies passion but must respect the delicacy of Virgo. Virgo’s erogenous zone is the stomach, so soft caresses and tickles are a turn on and a caring Aries will display affection and tender touching. In most Aries-Virgo relationships, a Virgo male will feel that the Aries female is all the woman he will ever want. Since Aries likes physical, fast and sometimes rough, his Virgo woman may feel that he doesn’t take enough time in the bedroom for true sensuality. If Aries doesn’t respect Virgo’s sensitivity, there will be contention in their sexual relationship. Virgo is fearful of matrimony but a marriage can be strong if they keep a strong physical desire and tenderness in the bedroom. Aries does not see patience as a virtue while Virgos look for perfection in everything. Arguments will ensue, and the love match between Aries and Virgo will blow hot and cold. When Aries is upset, there’s a lot of shouting. With Virgo, feelings are buried deep and allowed to fester. The overall chances for this zodiac marriage are 50-50. When the relationship does end it’s usually blamed on an outside force.